EraseIT is the first Australian-owned IT asset disposal service provider to join the National Association for Information Destruction (NAID). 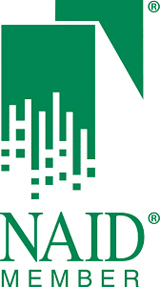 NAID is the international trade association for companies in the secure destruction industry. The association serves 1,900 members worldwide and is the only certification program provider for businesses in the secure destruction industry. Secure IT asset disposal is often an area in which a company’s data is most vulnerable. Businesses simply can’t afford the risk of allowing any IT equipment to leave its control with sensitive data still stored on it. When it can cost millions to recover from a single data breach, the risks are too high to ignore.